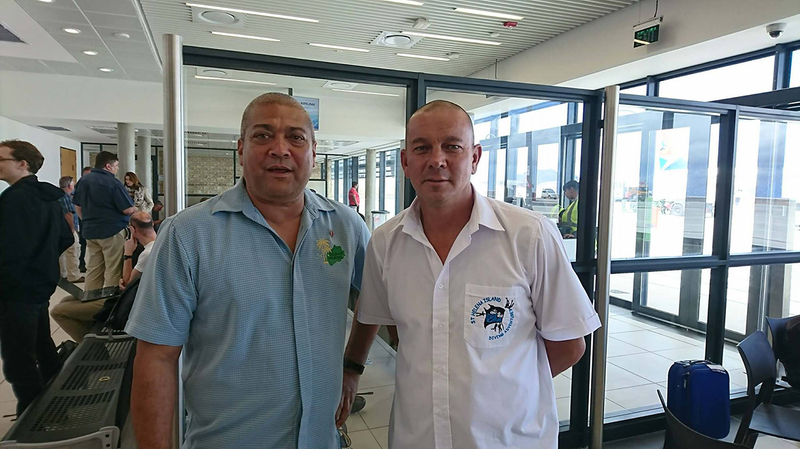 Today Derek Richards from Island Images jetted off from St Helena Airport this afternoon, en route to OR Tambo for an overnight stopover before travelling on to The United Kingdom, Paris, Capetown and then back to St Helena by next Saturday evening. Derek is a part of a delegation of six travelling to link up with four other members of the team which Include Her Excellency Lisa Phillips and Director of St Helena Tourism Helena Bennett, who are already in the UK and all will take part in the 2017 World Travel Market (WTM) in London for two out of the scheduled three Days, before travelling on to France. Niall O’Keeffe, Chief Executive of Enterprise St Helena, who also travelled this afternoon, was delighted that finally after months of planning, it was all coming together presenting an ideal opportunity for the Businesses and island of St Helena. For Derek and Craig Yon, from Into the Blue, who were selected as members of the private sector to represent their businesses, they saw it as a historic and momentous occasion. “I am absolutely delighted,” said Craig, adding that he saw it as a real chance for St Helena to gain from this global event being held in London. 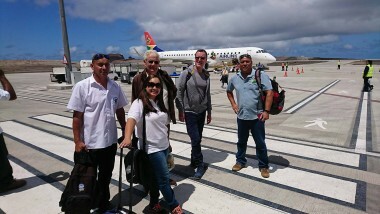 Island Images, a local tour operator, is involved in many aspects of the tourist industry in St Helena and Derek is now taking his to a higher and expansive level. Already delivering catering businesses, two branches of “The Sandwich Bar” and a home restaurant, they offer tours with a local and personalised distinction, a Bed and Breakfast facility attached to their home and much of what they have been doing over the past year is also facilitating the visits of others to St Helena as everything was ramping up to the delivery of an air service (now provided by SA Airlink) including the facilitating the first ever paying tourist to the Island by air. This is the right time and an awesome opportunity for my wife Linda and I, (owners of Island Images) said Derek, my drive for this venture will be to promote Island Images and a destination Management Service on the Island. 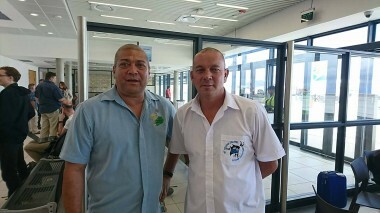 We are fairly well established in what we do on the Island, he added, and being able to network and have discussions with the numerous professionals at the World Travel Market, is presenting, Island Images, St. Helenian businesses and St Helena as a whole with a gateway to the magic that we are confident and optimistic will happen. The St Helena Tourism Roadshow, as it has been aptly named, will arrive at Heathrow Airport at 7am on Monday – from where they will start work immediately with the WTM opening at 10 am. The full team include HE Lisa Phillips, Niall O’Keeffe, Helena Bennett, Michele Martineau, Derek Richards, Giselle Richards, Craig Yon, Vince Thompson, Melissa Fowler Kelly Jonas and Johnny Clingham who will join also join the team in London on Sunday. Coverage of the roadshow will be updated daily as the show progresses via social media and also on air and online and via local media on St Helena.